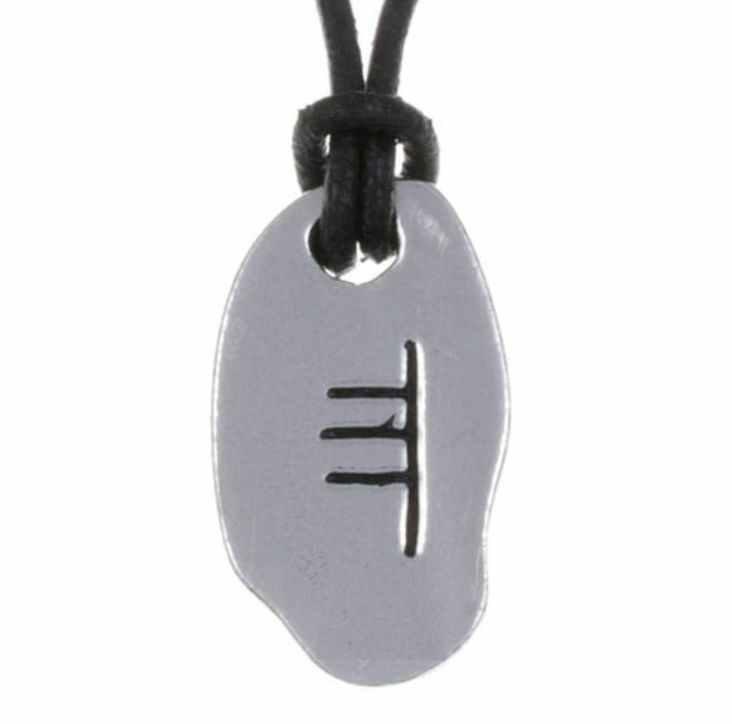 This June Ogham Inscription Pendant is expertly crafted with beautiful Stylish Pewter. 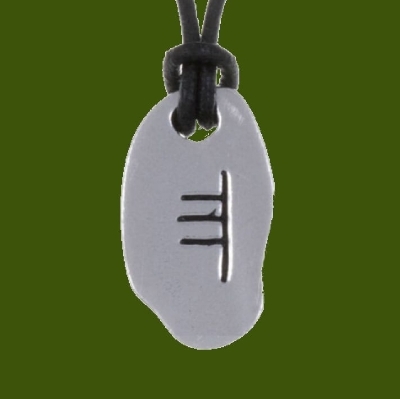 The Ogham inscription represents June and the holly tree. 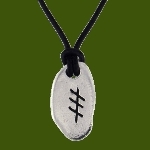 It symbolises survival and achievement – a winner, best in fights, always a survivor, a capacity to unify two sides of the question or problem, balanced and direct. This pendant measures approximately 31.00mm (1.22 inches) x 18.00mm (0.70 inches). A 30.00 inch (76.00cm) Adjustable thong comes with this piece. Supplied in a flock-lined acetate window box. This item is made in and shipped from United Kingdom. Please be advised that your item needs to be cast and made before it can be sent to you. Please allow sufficient time for your order to arrive. These oghams are symbolic of trees associated with months of the year. All of the trees representing the months and letters of the Celtic calendar and alphabet also represent a fragment of the Celtic cosmology, their archetypal symbols and their immediate world view. Each tree has a corresponding god or deity as well as a symbol and heavenly body associated with it.